Sear: 2 to 4 mins. See a Quick Fish Taco Recipe See More! In a small bowl, add all the sauce ingredients; whisking them together. Pour into a decorative dipping sauce serving bowl, and place in the center of your serving platter, and set aside. Pat down the top and bottom of each scallop with a paper towel (they will not sear properly if moist). Season scallops with kosher salt and ground pepper. In a large non-stick skillet, (I prefer to use a seasoned cast iron skillet) heat to medium-high heat, add peanut oil by placing it on a paper towel folded in quarters, and wiping down skillet. 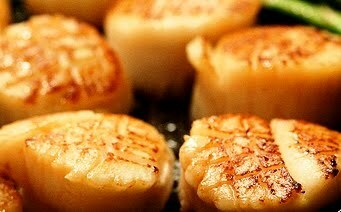 Add scallops, not touching, and sear for approximately 1 to 2 minutes per side, just until golden brown (please do not poke or move around scallops or they will not sear properly). Also, cooking might slightly vary depending on size of scallops. Place seared scallops on platter around dipping sauce bowl, and serve immediately - enjoy! Tip: I serve mine with a small container of toothpicks for dipping scallops into sauce. 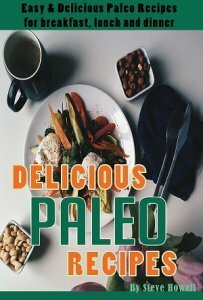 Also, this is wonderful to serve as a surf-n-turf meal with grilled steak, or with steamed rice and fresh veggies, or just as an appetizer is simply divine.